County of Durham: Burdon, Castle Eden, Cold Hesledon, Dalton-le-Dale, Dawdon (2), Easington, East Murton, Haswell (3), Hawthorn, Hutton Henry, Kelloe, Monk Hesleden, Nesbitt, Seaham, Seaton and Slingley, Sheraton and Hulam, Shotton, Thornley, Wingate. The population falling within the Union at the 1831 census had been 6,984 with parishes ranging in size from Nesbitt (population 10) to Haswell (2,976). The average annual poor-rate expenditure for the period 1834-36 had been £1,259 or 3s.7d. per head of the population. The Easington Union appears to have operated without a workhouse until one was erected in 1850 at the north-east of Easington. Its location and layout are shown on the 1914 map below. Easington Union workhouse site, 1914. 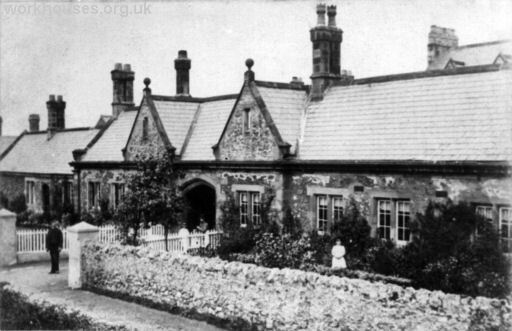 Easington workhouse entrance from the west, date unknown. Easington workhouse inside courtyard, date unknown. 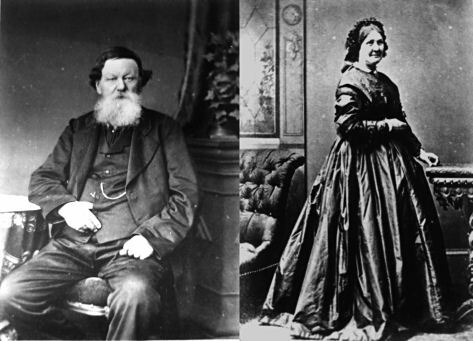 The first Master and Matron of the workhouse were John and Mary Mason who, in 1851, had 25 inmates in their charge. ohn and Mary Mason, date unknown. The buildings were expanded over the years taking the inmate population to 130 in 1894. A hospital was erected at the east of the workhouse, and a nurses' home was added in 1926. 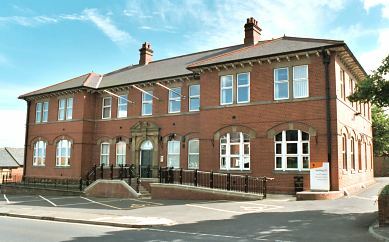 Easington Board Offices from the north-west, 2001. 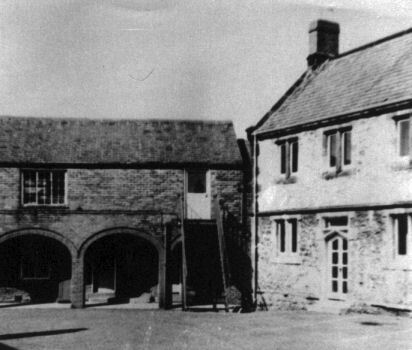 The workhouse later became Leeholme Hospital but closed in 1971 and the buildings demolished. Easington former workhouse site from the north, 2001. All that now survives is the Board of Guardians' Offices which date from 1902. The remainder of the site is now occupied by local council offices. In 1921, the parish's rectory, on Hall Walks, at the north of St Mary's church, was sold to the Guardians of the Poor for use as home for pauper children. After 1930, it became a home for elderly men and changed its name to Seaton Holme. Durham County Record Office, County Hall, Durham DH1 5UL. Holdings include: Guardians' minutes (1837-47, 1862-1930); Ladies visiting committee (1895-1926); etc. Thanks to Eileen Hopper for the vintage pictures.